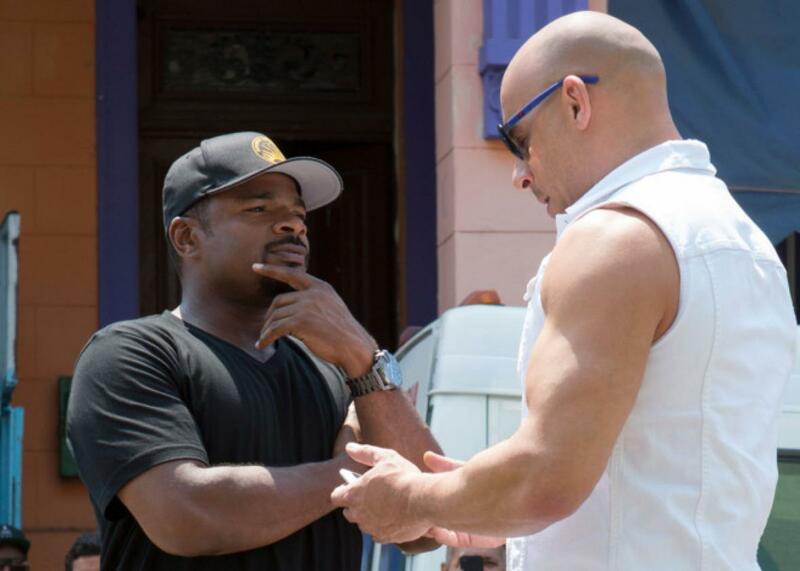 F. Gary Gray on directing Fate of the Furious. Fate of the Furious director F. Gary Gray. 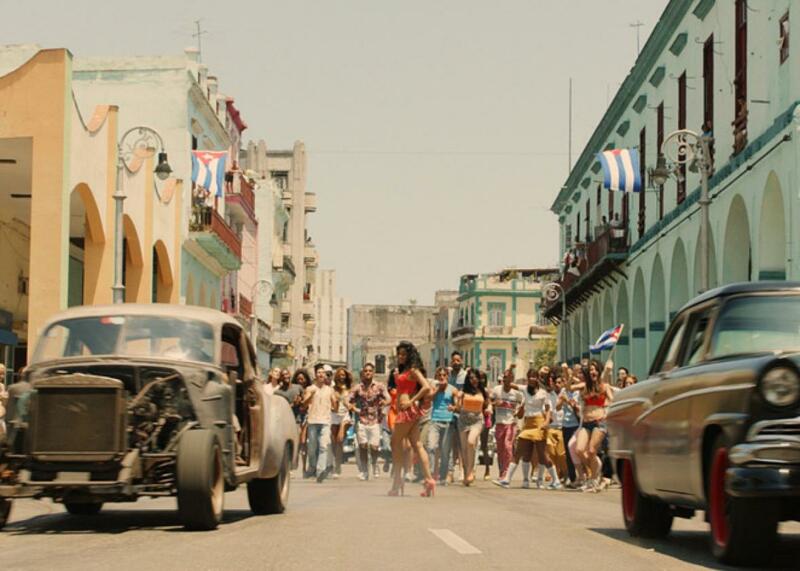 In modern-day filmmaking, there’s spectacle, and then there’s the Fast and Furious franchise. 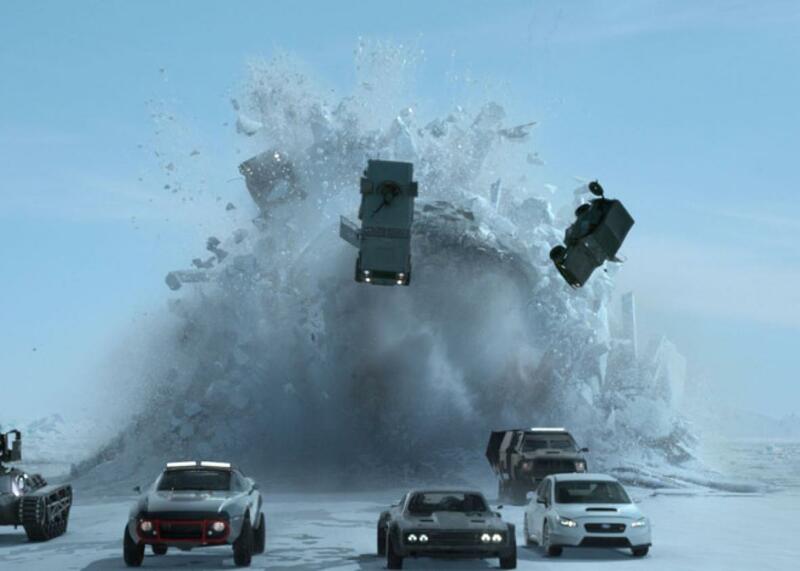 The speed-addled, gravity-defying, increasingly lunatic saga sees the release of its eighth film, The Fate of the Furious—get it? I hope you get it—this weekend, and it’s got some big shoes to fill. What started off with a $40 million movie about an undercover sting in the Los Angeles street-racing scene became by 2015’s Furious 7 a story of international intrigue, high-tech hackers, and, uh, street racing that cost nearly $200 million to make. It also earned a billion-and-a-half dollars worldwide, cementing the series’ record as Universal’s highest-grossing franchise of all time and virtually guaranteeing that Fast and Furious movies would continue until Vin Diesel decides to retire from acting and devote his full attention to Dungeons & Dragons. If there’s one question that emerges from the franchise’s 958 minutes of cars falling out of airplanes, cars fighting tanks, and cars jumping between buildings, it’s this: How the hell do you direct one of these things? This time around, that task went to veteran filmmaker F. Gary Gray, the fifth director to come aboard the franchise. While Gray had worked with many of the core elements of the Fast series before, including action (Law Abiding Citizen), car chases (The Italian Job), and Vin Diesel (A Man Apart), nothing quite prepares you for directing a movie of this budget and magnitude, aside from, well, directing a movie of this budget and magnitude. When I met with Gray at the Four Seasons Hotel in Los Angeles, he was jet-lagged from doing pre-release press in China, where, true to franchise brand, he took a death-defying toboggan ride down the Great Wall. The Fate of the Furious is Gray’s first major international press tour, and in China, he found the level of excitement you might expect from the successor to the country’s best-performing cinematic import ever. When Universal needed a director for the eighth Fast and Furious, Gray was coming off a big win for the studio with Straight Outta Compton, which made $200 million on a budget of just $28 million and earned an Oscar nomination for its script. He prepared by speaking to the architects of the franchise: producer Neil Moritz, who’s been involved with all eight movies; writer Chris Morgan, who’s written every Fast movie since Tokyo Drift; and Diesel, the star who came on as a producer starting with the fourth movie. Luckily, the trio already had a hook: This time, Diesel’s Dom Toretto goes rogue. Of course, directing the eighth film in any series brings with it another challenge: How do you maintain a tonal consistency with the installments that came before while still bringing your own personal touch? Different franchises have handled this in different ways. At Marvel, super-producer Kevin Feige oversees its sprawling cinematic universe, and the studio tends to employ directors whose specialty is more tonal and character-oriented than visual. DC is in the process of creating its own extended universe, with the idiosyncratic Zack Snyder making two movies that have little in common with the equally idiosyncratic David Ayer’s Suicide Squad; the directors on deck, including Patty Jenkins, Matt Reeves, and Fast 7 alum James Wan, don’t seem likely to follow in either of their footsteps. Fox, meanwhile, has given up altogether, having produced such wildly divergent movies as Bryan Singer’s X-Men saga, James Mangold’s stand-alone Wolverine installments, and Deadpool, whose director, Tim Miller, is out for the sequel. Other long-running franchises like James Bond tend to reboot when a new director or star comes on. On few other megafranchises is continuity as important as it is to Fast. In long conversations with Gray in the Dominican Republic, Diesel spoke about the direction of the franchise, the significance of Fate, and how best to honor the legacy of the late Paul Walker. Morgan, meanwhile, was the man who supplied many of what Gray calls the “trailer moments,” including a bonkers third-act chase sequence involving a nuclear submarine. 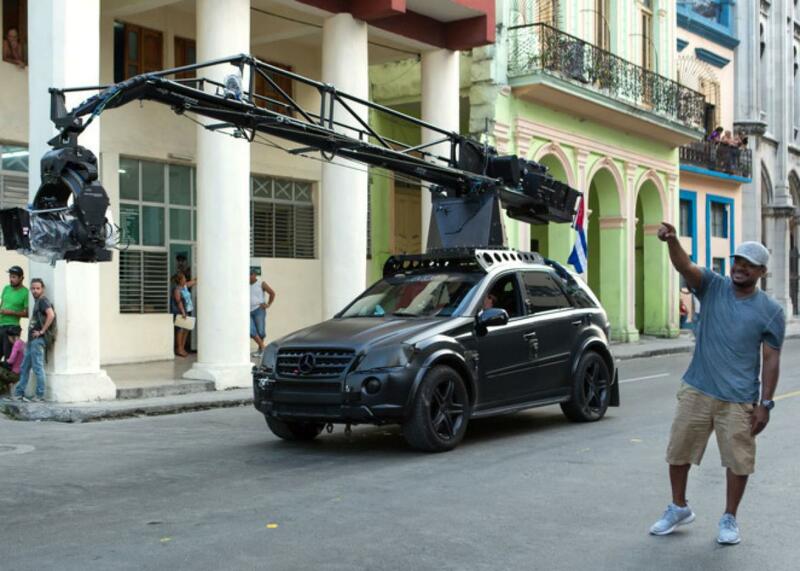 And Gray brought plenty of his own ideas, from the twisty “Cuban Mile” race that factors prominently in the first scene, to the Haka dance that Dwayne Johnson’s Hobbs does with his daughter’s soccer team, to the name of Scott Eastwood’s character, an apprentice of Kurt Russell’s Mr. Nobody: Little Nobody. It wasn’t just a Lambo that got drowned: Among the cars in the movie are Bentleys, Corvette Stingrays, Jaguars, and Dodge Chargers, many of which meet the kinds of ends that will have car enthusiasts in the audience weeping into their sleeves. (The value of the cars totaled in this film makes the budget of Straight Outta Compton look like a child’s allowance.) But for Gray, this wasn’t excess: The orgies of destruction helped avoid the temptation to go fully CGI and puncture the franchise’s wafer-thin sense of verisimilitude. On a few scenes that ended up on the cutting-room floor, Gray was astonished to find that some of the shots were so outlandish that they looked fake, even though they actually happened. To make the spectacle as coherent as he could, Gray created what he calls a “war wall,” where the movie could be seen at a glance. On the board he and his primary collaborators—including his director of photography, Stephen F. Windon, and his production designer, Bill Brzeski—could tweak and adjust individual elements, making them more visual and more distinct. On a production as fluid as this one, standard shot listings and pre-visualizations play a role, but they’re far more likely to change than they might be on a smaller film. That meant Gray had to work even more closely with his second- and third-unit directors—including series veteran Spiro Razatos, who handled much of the hard-core action—to ensure that Fate never became a reproduction of the previous movies. In one of Fate’s standout sequences, hacked cars hurl themselves like bombs off the upper floors of a parking garage in New York City. The scene is shot partly through the rearview cameras of the cars as they speed backward out of the garage; one memorable shot comes from a camera affixed to a car as it spins end over end through the air. No matter how much NOS they use, Fast’s race scenes still resemble street races in other films; it’s the insane set pieces that truly make a Fast and Furious movie. Fate has its fair share of these, including a hacked-car pileup in New York and a midair shootout involving Jason Statham and a baby wearing Beats headphones. But no scene is more deliriously over the top than the one involving the heroes and a nuclear submarine. This is the kind of sequence that makes you marvel over the fact that these movies are made by human beings, even ones with access to the toys and money that the Fate filmmakers had access to. So, how do you direct a thing like this?